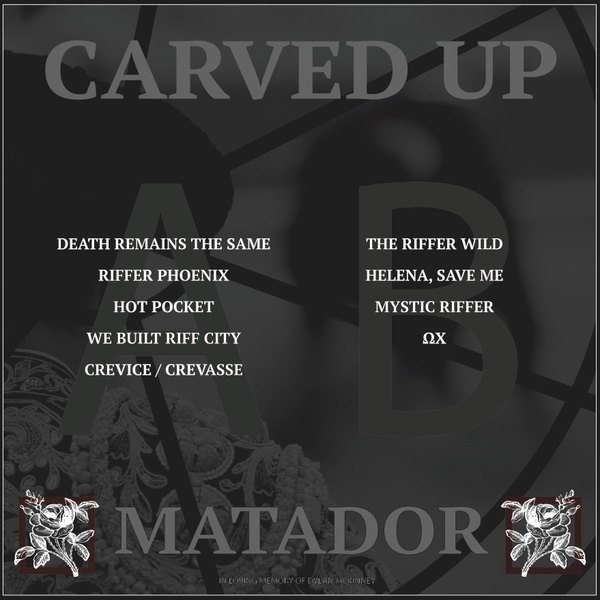 "Matador" is the first full-length vinyl release by Philadelphia based Carved Up. 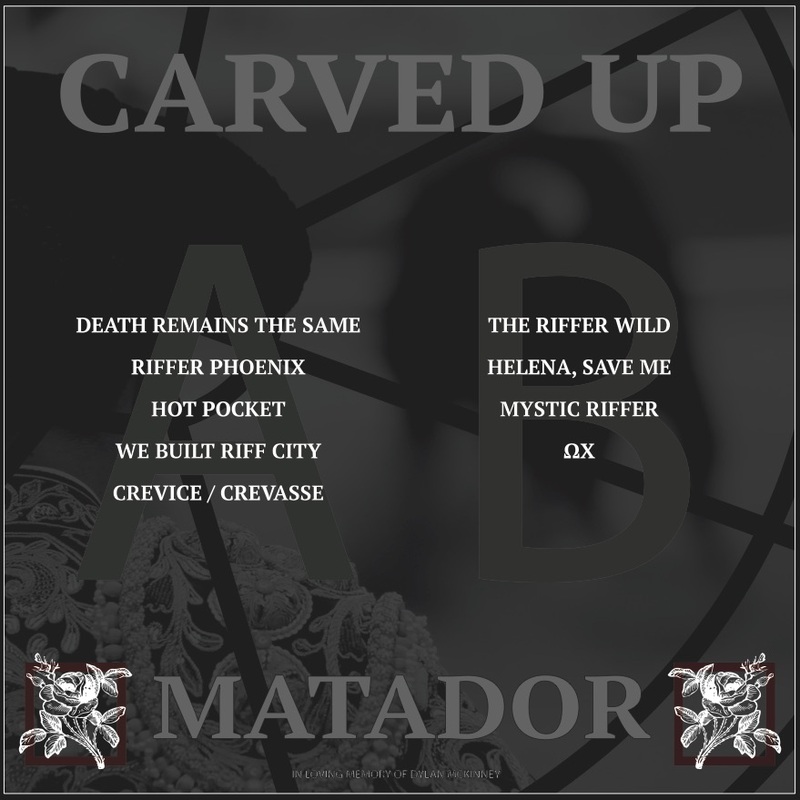 Exclusive premiere of the entire album was hosted by American Aftermath. Exclusive premiere of "Riffer Phoenix" was hosted by Revolver Magazine. Exclusive premiere of "We Built Riff City" was hosted by Decibel Magazine. Exclusive premiere of "Crevice / Crevasse" was hosted by Blow The Scene. "Matador" was recorded and mixed by Vince Ratti at Skylight Studio, and mastered by Bill Henderson at Azimuth Mastering. Additional recording by Will Yip, Brad Wallace, Sam Pinola, and John Fachet. Cello, Violin, and other noise by Greg Bortnichak and Erin Murphy of Teach Me Equals. 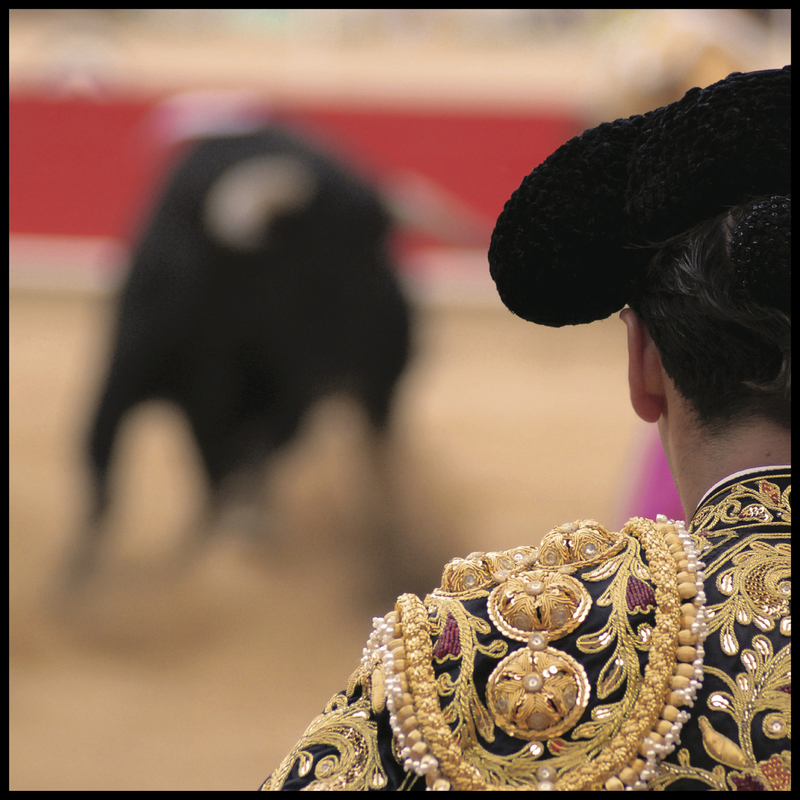 Cover art photo by Sigfrido Lopez Ferrer. First pressing of 250 units on 140-160 gram 12" vinyl (150 Black, 100 Oxblood). Includes a digital download via email after purchase (available after Nov 1, 2015). Official release date Nov 13, 2015.